I went into Kieran Darcy-Smith’s Wish You Were Here with no knowledge of the film’s plot or characters. This is one of my favorite ways to see films and, all too often, it doesn’t happen due to things like social media. Luckily for me, I’d heard the movie mentioned only in passing, so when I watched my screener copy, I knew little to nothing about what I was getting into. The most basic way to describe the plot of this film is that it follows two couples who go vacationing in Cambodia and how their lives are affected after one of them disappears. Reviews I’ve read since viewing Wish You Were Here have criticized the writers for the restrained way in which story details are revealed. My experience of the film is the opposite. The way the story unfolds is minimalism at its best. Because of how the pieces slowly fall together, the viewer is left hungry for knowledge, and has no choice but to keep watching. There are a lot of different dynamics, such as the tension between leading man, David (Joel Edgerton), and his wife’s sister, Steph (Teresa Palmer). We also get the idea fairly early on that David knows more than he’s letting on. At no point do we feel bombarded with information. Instead, there is strong deliberation to every little detail as the story moves forward, so even with its nonlinear structure, the events remain compelling up until the final reveal. The biggest selling point for the film, however, is the performances. In particular, Edgerton is flawless in his role as a man burdened by dark secrets. The weight of sins transpired during his vacation really shows in his face throughout. He made me feel his torture. Everyone else is pretty solid, too, demonstrating the stressful aftereffects of their experience throughout. Edgerton, though, is undoubtedly the standout. The only real downside is that after the mystery is solved, the film takes a little too long in wrapping things up. Other than that, Wish You Were Here proves to be a formidable film to compete with this summer, if not at the box office, certainly in the quality department. The great acting, unconventional storytelling, and the slow-burning, tense unfolding of details make this an enjoyable watch. 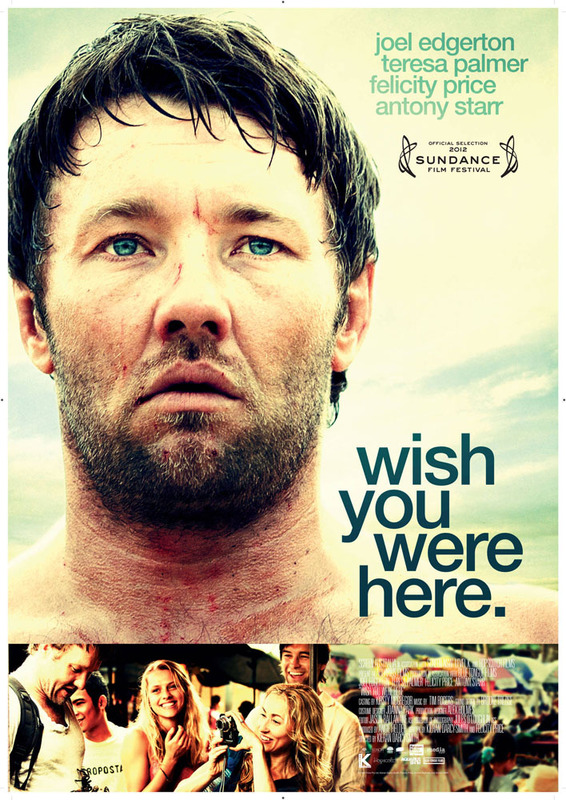 Wish You Were Here opens today in Philly area theaters.